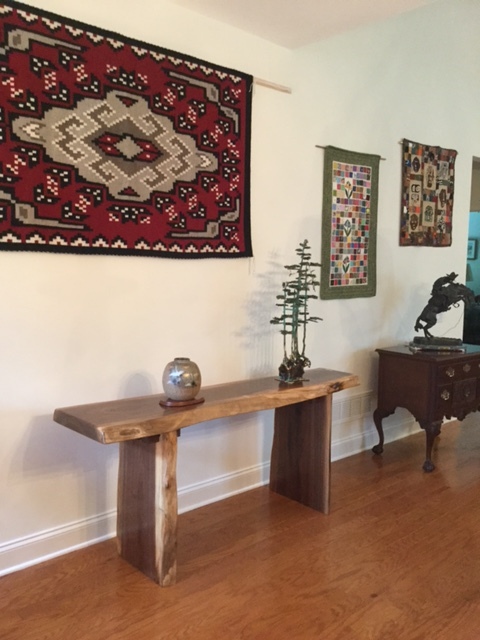 This walnut hall table is a lovely addition to a local couple's beautiful home. It fits well with their other furniture and sculptures. Something similar can be created just for you and shipped to your home. For more information email larry@larryricci.com or call 267.614.3659.